A £10 deposit per person is required only for special events (e.g. Christmas Eve, New Year’s Eve, St. Valentine, Degustation Menu, etc) to secure your booking. We require a £5 deposit per person for the Sunday-Tapas to secure the booking. A £5 deposit per person is required for Sunday-Tapas to secure the booking. The deposit will be deducted from your final bill on the day. We require at least 48 hours before your seating time for cancelations of less than 7 people to receive a full refund of your deposit. For large parties (7 people or more) booked at special events, we required at least 3 days of notice before your seating time to receive your deposit refund. 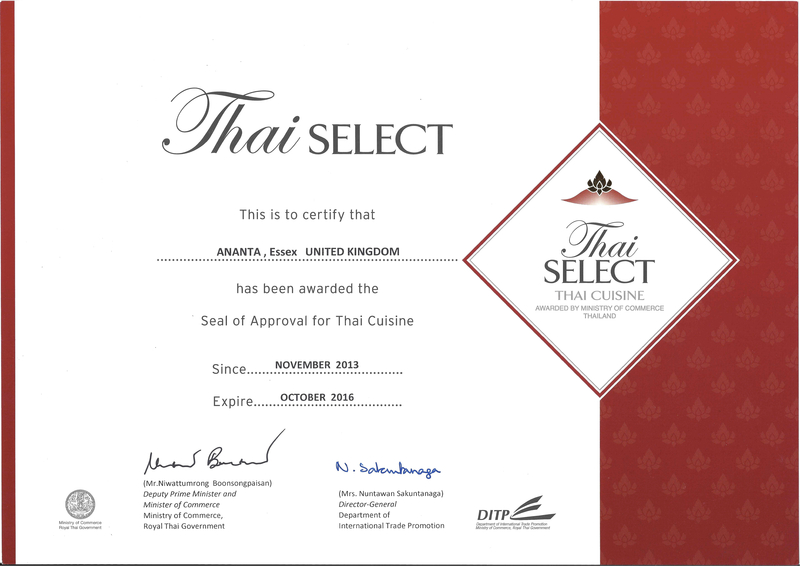 In order to receive your deposit refund you need to e-mail booking@thaifoodpub.com indicating your booking reference and your bank account details and we will refund your deposit by BACS in the next few days. All reservations for 7 people or more require a valid credit or debit card to secure the booking. Please be aware that no charge is made to the card at the time of the booking. cancellations within 48 hours of the seating time. 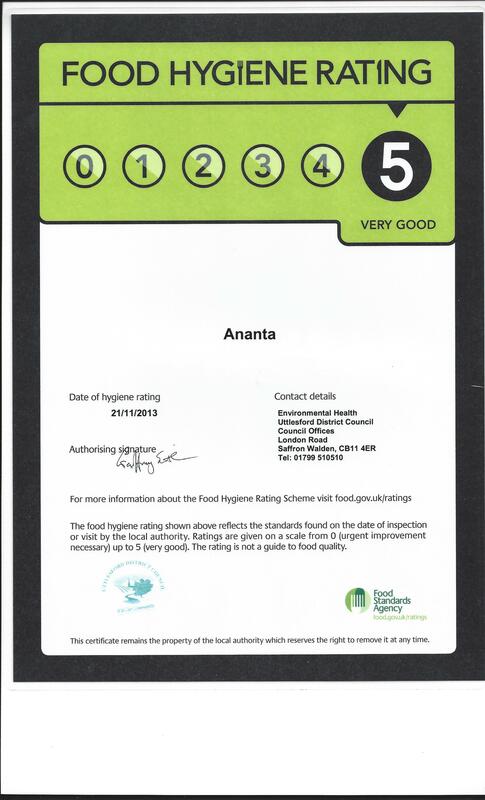 If there are any cancellations or amendments outside of these timescales, Ananta Thai Food Ltd. reserves the right to implement a cancellation fee charge of £5 per person.